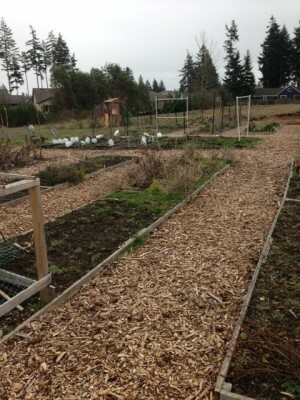 Beyond my work with the school, I decided to get a plot at the garden for personal use. 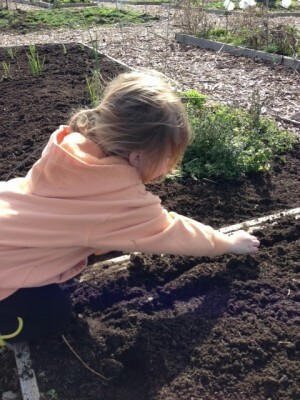 A few weeks ago I took Olivia out with me so we could weed our garden space and plant some seeds. She had a hard time grasping the concept of keeping the dirt in the raised bed but we eventually came to agreement that she could have a little bucket of dirt for her own purposes. 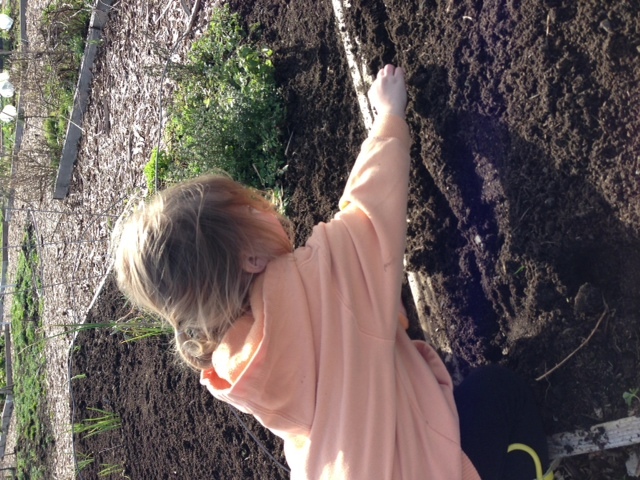 Since then we have driven out to our garden a couple of times to check on the progress of germination. We have a few lettuces popping through, along with some peas. Hopefully we’ll see carrot seedlings in the next couple of weeks. It’s definitely not the same as having my vegetable garden right outside my door but it’s fun to go on “garden adventures.” It’s about a 10-15 minute drive to the garden. 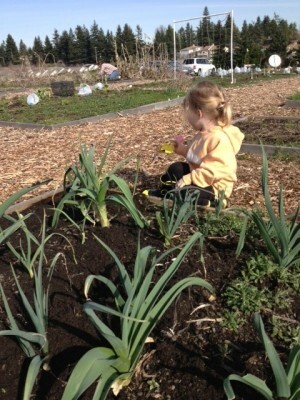 Depending on where we decide to buy a house, we may join a community garden a little closer to home next year. If nothing else, this is an educational experience for us all and so great to be surrounded by other gardeners. Here are some photos from the garden. 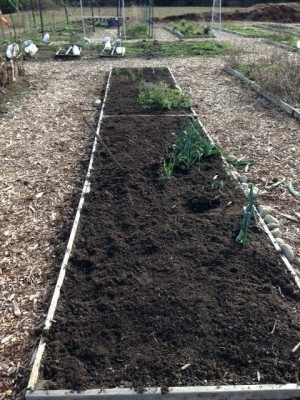 Keep in mind, it’s very early and most of the garden beds are still asleep. I will post more later in the season when there is more growing. This is our personal garden site. The key word in this type of gardening is “community.” It almost seems too obvious to write about but it truly is heart warming. It’s really easy to get lost in our own lives and it’s nice to be involved in a project that takes us outside of ourselves. If this is something you’ve considered, I highly recommend you check into a community garden near you. Even if you don’t have your own space (some have quite the wait list), they always need help with maintenance and most have a garden for the local food bank. If you know nothing about vegetable gardening, this would be a great way to learn! Another great post. Love the pictures. 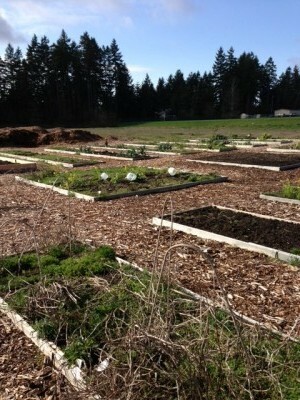 Community gardens are super cool and lve the donating to food banks. Win win win win!! !